Reasons why I hope my daughter is never a fan of Twilight. With the upcoming release of the newest Twilight movie, Break Dawn Part 1 ( Because the epic story must be told in two parts, four movies would apparently not be enough to sustain the insanely dramatic tale) I decided to vent on the series, the author and why I hope my daughter never reads the Twilight series when she is older, at least not seriously. About 4 years ago, my husband and I were at a party when we started talking to a man, who worked with my husband, and his wife. I didn’t really know either one of them, in fact I met her for the first time that night. She started telling me about her love for the Twilight series, so my response was something in the way of “oh, I haven’t read it yet, but I really want to” cut to a few months later, when BAM, my husband gives me all four books for Christmas. He figured I love to read and seemed to have an interest in reading those books, so best present ever? Not so much, I had no interest in this series, since I was not 13. But I have many a tales to tell about the inability for my ex-husband to ever buy me a reasonable present. For another time. So I began reading these books, it was something to do and I do like to read. The first one read quite quickly. The books are meant for young girls and so they are fairly quick reads and not very complex. Lengthy? yes, but Marcel Proust they are not. After reading the first one, I started on the second, and became far too irritated to finish. I then watched the first movie, was less than thrilled. I watched the second one, barely remember it. I just don’t get it. I was a die hard Buffy the Vampire Slayer fan, still am. I think it’s all been done before, and so much better. Here are the reasons that I really would prefer my daughter to never become a Twihard. 1. Unrealistic expectations on first loves, and love in general. The amount of drama that stems from the love story of Bella and Edward is clearly because they can’t be together because she is human and he is a vampire, blah blah. So everything is more difficult. They can’t just be together. In real life, there are plenty of problems in relationships that aren’t so black and white, in fact almost every obstacle in a relationship isn’t black and white. Nearly impossible to not roll my eyes. He's still just a kid, should be playing PS3 with your sons, not being part of your middle-aged fantasies. 3. It gives middle-aged women the impression that it is okay to become aroused by teenage boys with no shirts on. It’s not okay ladies. 4. 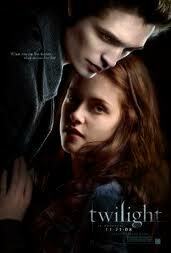 Bella, her whole life is Edward. Just get a damn life Bella, go to college, maybe some graduate school, get a job, maybe a hobby. Luckily, my daughter is not even 1 yet, so I am hoping that Twilight is pretty irrelevant at that point. If she does get a hankering for some vampire stories, that’s when I can covertly hand over my boxed set of Buffy. A tale of being torn between two cities.